How do I download my Nokia 929 Windows phone's "People" contacts out of my phone and then transfer them to my PC with Windows 10. I have tried to sync account but I find that under my "email+accounts" that my Outlook.com always states, "Not up to date", even though I have just update both my phone and pc. Any suggestions??? 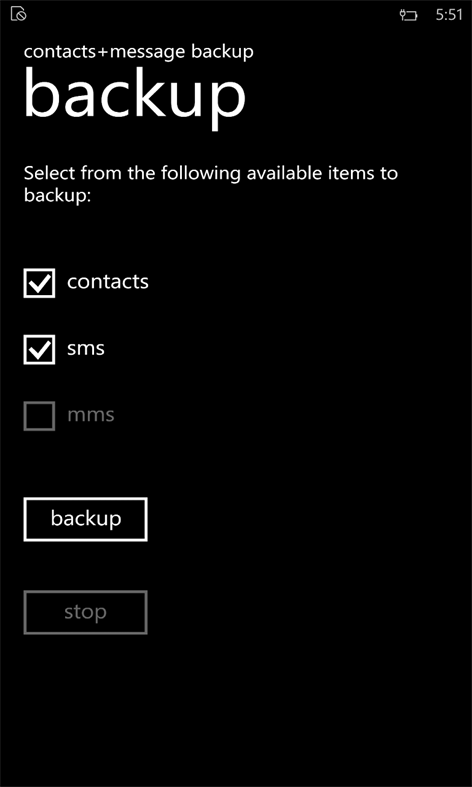 You can use the contacts + messages backup app Microsoft. 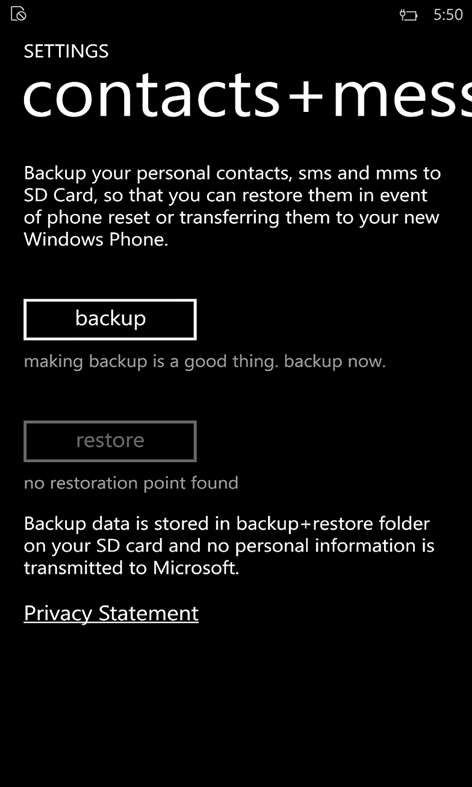 The application enables you to backup your contacts into a .vcf file on your Micro SD Card or phone's storage, which you can then transfer off or copy to your PC, and then open it from there to access and save your contacts. Not the answer you're looking for? Browse other questions tagged sync or ask your own question. CalDAV and CardDAV sync apps?